Ben Leutwyler is an accomplished litigator with more than 22 years experience as an attorney. Ben’s experience is as a criminal prosecutor, criminal defense lawyer, civil litigator, and in wills and estate planning. 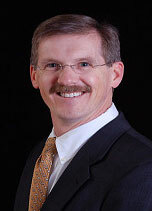 Ben began his legal career in 1990 in Atlanta, Georgia, as an associate in a small, general practice law firm. While there, Ben drafted wills, prepared contracts and worked on personal injury cases before becoming a prosecutor. As an assistant district attorney, Ben handled thousands of cases, and successfully prosecuted dozens of felony criminal jury trials, including a death penalty prosecution. He successfully argued cases in the Georgia Supreme Court and the Georgia Court of Appeals, and he prosecuted cases of elder abuse and health care fraud as an assistant attorney general. While in private practice, Ben broadened his experience in family law, personal injury, and estate planning.In 2001, Ben and his family moved to the Denver area. While with the 18th Judicial District Attorney’s Office, he prosecuted a broad range of felony offenses and served for more than three years in the Special Victims Unit prosecuting crimes committed against children and at-risk adults. He was honored with a promotion to senior deputy district attorney and received the District Attorney’s Trial Eagle Award for outstanding work in 2004. Ben has shared his expertise by teaching at various community groups, law enforcement agencies, and as a faculty member of the National College of District Attorneys.Ben received his undergraduate degree at the University of Iowa in 1983. Prior to attending law school, he gained valuable personal injury experience as a claims adjustor with Safeco Insurance Company. He then attended Georgia State University’s College of Law, where he was selected to serve as a graduate research assistant and as vice president of the Moot Court Board, prior to receiving his J.D. in 1990. He is licensed to practice law in Colorado and Georgia. When not practicing law, Ben skis with his children and wife, plays golf and racquetball, and is an active member of Mountainview Community Christian Church.